I started off Saturday’s detecting with my XP Deus with a friend in a park I had been getting a few silvers in the past. We found a small area near a tree where we started digging wheat cents. 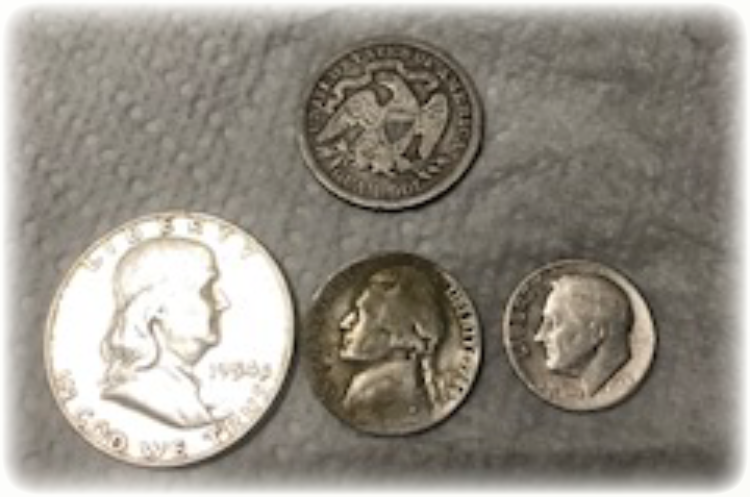 I said to Greg “there has to be silver here” and sure enough he said hey “I got a silver Washington!” Sweet then the silver started to surface Mercury’s Rosie’s another silver quarter for me a few war nickels more wheats. 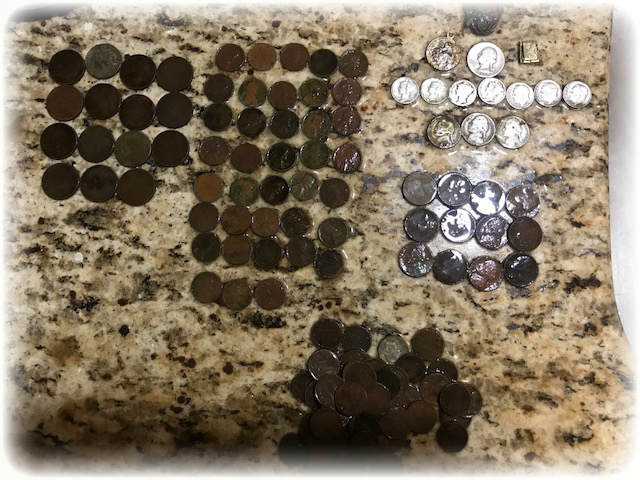 I ended up with 11 silvers and 38 wheats and about $7,00 $8.00 In clad in a few hours! Next day I returned with high hopes of finding more and maybe a half dollar. First more wheat pennies then another war nickel and then a silver rosie not bad. I was moving to a new spot in the park a little bit of a hill along the roadside I figured good spot where people may have sat. Well I had a 97 on the Deus! From past experience I knew I had silver! So I dug a good sized plug and saw a silver Franklin half dollar 1954! 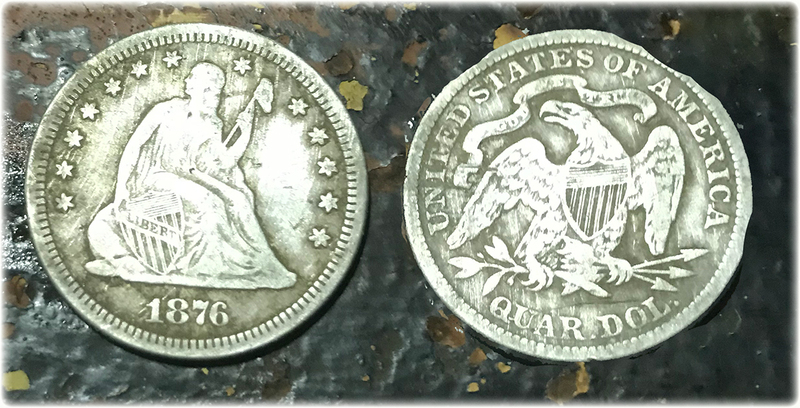 It was my third silver half dollar in two months! I ended my XP Deus hunt after the silver half as I had to go to work, and then after I decided to go back and hunt the school yard in the dark we’ll the first signal I had in a spot that was never hunted by me or anyone else I had a solid 94 I thought a clad quarter I was wrong when I saw the eagle starring at me I knew I had an old coin when I flipped it I saw it was a seated quarter – 1876 in beautiful condition! An unbelievable weekend hunt all possible with my XP DEUS Thank you!